This mural is located on a wall of the Newtown High School of the Performing Arts, along King Street, in the inner city suburb of Newtown. It was created by artist Remine. 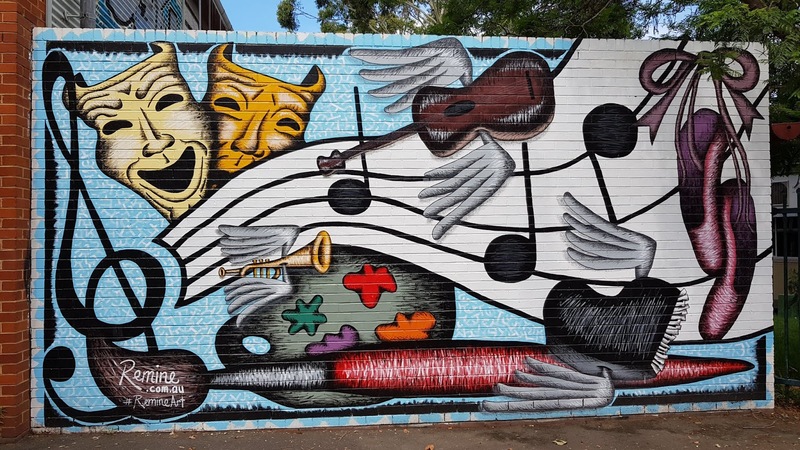 The performing arts are nicely symbolized in this mural. Very interesting. "Arty" for sure. I love it, it makes one want to get creative. Very apt for the local. Thanks for participating Jim. I love this! The depiction of music and theater is awesome!